If you are looking to buy a .krd domain name, the best part is that .KRD domain registration is available through global domain retailers including brand protection agencies. How and where to buy .KRD domain? 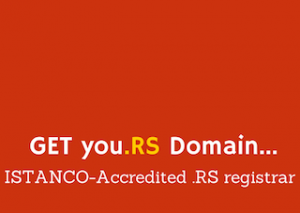 Any accredited registrar website can be used to check for .KRD domain availability. A link will redirect the user to Network Information Center (NIC) where you can check the registration information of a .KRD domain name. One such global domain retailer that offers .KRD is Namecheap, in fact their offer for Kurdistan domain is the cheapest on the market, with their help to guide you through the .KRD registration process, and their superior support. Upon considering your future in the Kurdistan online business and to start your journey in a safe place we would encourage you to buy .KRD domain name with Namecheap. Namecheap is an ICANN-Accredited Registrar, and our preferred domain name register as the brand name itself conveys the word “cheap” at the beginning which is the main motto of the company to provide domain names for the low price. Namecheap currently has a record of holding more than 7+ million domains and 3+ million customers approximately in their database. What are the .KRD domain registration requirements? The .KRD users must comply with Acceptable Use Policy as described by NIC.KRD. A short description for the failure to comply is that it will result in a loss of access or deletion of the domain name in question. not include a space (e.g. www.ab cd.krd). A restricted word list for .KRD domain name is developed through a dedicated committee, which will be comprised of relevant stakeholders from civil society, academia, and government. The list will include words which do not respect the mission⁄purpose of the .krd TLD. However, the list is expected to be extremely limited and is not intended to censor freedom of expression. No restrictions on content will be placed as content will not be monitored or censored. READ MORE Native apps out and Web Apps in! Clear win for domains! .KRD domain names are registered for 1 year minimum. The domain name activation after domain registration time frame for .KRD is 24h during general availability. In accordance with ICANN, Generic Top Level Domains (gTLD) have a 40 day “Grace period” in which a domain name can be renewed without incurring an additional fee. It is important to note that your domain will no longer resolve on the day it expires. After the 40 day grace period, there is a 30 day “Redemption Period” in which you can renew your domain name for an additional $150 USD. Kurdistan domain names ending with .KRD are being registered for individuals as .KRD, business as .CO.KRD, the government entities as .GOV.KRD and educational institutions .EDU.KRD. It is a “generic” name, not a two-letter “country code” name reserved for sovereign states. The region’s presidency and government already use it for their websites in Kurdish, Arabic and English at www.presidency.krd and www.gov.krd. Reports and complaints about .KRD domain abuse are reported to abuse@dot.krd designated address. What is .KRD investment potential? Kurdistan Region of Iraq is an autonomous region in northern Iraq, also known as Southern Kurdistan, generally considered as part of the Greater Kurdistan by Kurds. The region is governed by Kurdistan Regional Government, though it is defined as a federal entity of Iraq with Kurdish and Arabic as the official languages. The region economy and infrastructure was devastated by recent history conflicts, though now it has seen rapid development with high investments aimed to promote the region economically due to large oil reserves. Economical and business expansion has introduced a genuine need for a new local domain name that offers high domain name availability and recognizability. Economically, .KDR will help promote regions economy that is largely dominated by the oil industry, with the addition of agriculture and tourism. Being one of the peaceful regions Kurdistan boasts a more developed economy when compared to other parts of Iraq. Today, Iraqi Kurdistan has the lowest poverty rate in Iraq. Goods trade is well-developed and growing with Iran, while economic ties are growing with the Russian Federation and plans for Russian assistance in the transport sector. Indeed, the number of investment projects is increasing, with foreign companies which are eager to invest in new oil sites for the goal of increased regional oil production. The .KRD domain registration with the aim of protecting your brand is the best preventative measure you can take to secure your trademark and deny trademark infringement. The .KRD is the new namespace for Kurdistan, Internet geographic and brand top-level domain delegated to the root zone in 2014, under the Domain Name System, with main focused on use by Kurdistan locals, people, institutions and businesses. This specific online space will benefit registrants, the KRG, and Internet users in Kurdistan and globally. The .KRD top-level domain will play an important role in validating Kurdish culture and language in an age of expanding globalization, by making them available and accessible on the Internet. Its uses and promotion will enable Kurdistan to take part in the global cultural online ecosystem with the ability to educate and share its rich language, cultures, and traditions. Kurdistan will be given an opportunity to support international cultural integration and trade with the goal to bring an understanding of this region and its people. Kurdistan region achieves multiple objectives such as online visibility, innovation, digital economy and provides a new online homeland to Kurdish community worldwide. The Kurdistan Region capital of Erbil currently ranks among the top safest cities in the world according to a recent survey. The Kurdistan Board of Investment (BOI) is responsible for creating investment opportunities in the region, providing a professional service to local and foreign investors and working to rebuild and develop the Kurdistan region. Businesses, individuals and companies are invited to a new home on the internet as the KGR Department of Information Technology (DIT) announced .KRD availability for public registration. Being a ccTLD it is a very attractive domain for regional websites, though any entity is encouraged to take the opportunity and register a .KRD domain name that suits them. Owning a domain is important for online business whether you are registering your personal brand, opening a coffee shop or whatever it may be, it is necessary to have to a registered business name on the internet to get more exposure. The KRG welcomes inward trade or investment missions. Companies and trade associations can contact the KRG for advice on visiting the Region and exploring business opportunities. Grand Millennium Sulaimani Hotel in Sulaymaniyah, Kurdistan. Non-profit organizations can show their link to the Kurdish culture and commitment with .KRD domain name. Kurdish people are united and officially recognized in Iran. Kurdistan has gender equality and is known for their fair treatment of women with women representation in the Kurdistan Regional Government congress and also women enrolled with the government armed forces. 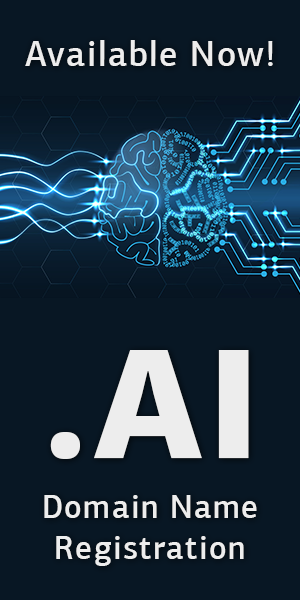 The twenty-first century will be the era of global connectivity and creation of the emergence of countless new internet users worldwide. The .KRD domain extension provides much-needed namespace that would be limited by domain names already registered with other top-level domains such as .COM or .NET for the influx of companies that are partnering or starting up in Kurdistan. The new top-level domain “.krd” gives Kurds a separate space in the virtual world at a time when they are gaining legitimacy on the ground through their alliance with the U.S.-led coalition against Islamic State. The majority of people in the Kurdistan Region are Sunni Muslims, mainly of the Shafi’i school. Some Muslims in the Region follow Sufi orders. Additionally, there are a large number of Christians of different churches, such as Syrian Catholic, Syrian Orthodox, Assyrian Church of the East, Armenian, and Catholic Chaldean. The .KRD caters to all of these for regional representation through online websites. DIT disclosed they are fully aware of their responsibilities and are committed to protect and secure a stable .KRD operation through their registry, as per agreement with ICANN. The granted rights to manage a top-level domain through the internationally recognized ICANN framework, made .KRD a technical and operational reality on the internet. We hope that this comprehensive presentation about Kurdistan and their brand domain .KRD has enticed your interest and investment for this domain extension and your next website project.